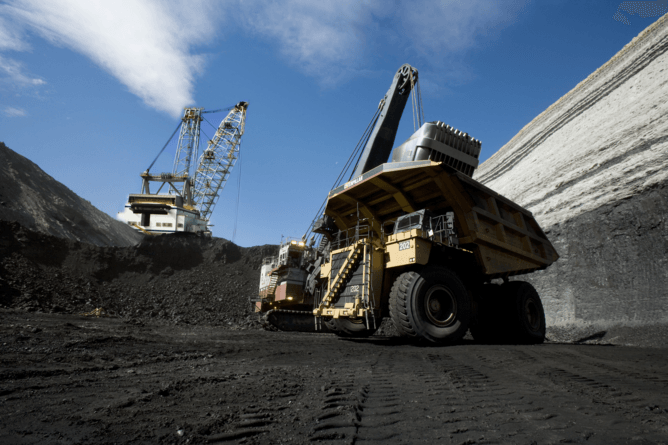 Sciblogs | How should the U.S. government help coal communities? How should the U.S. government help coal communities? As the United States adopts policies to lower greenhouse gas emissions, some communities will benefit from the shift to lower-carbon energy sources. But others will lose. Communities that have historically relied on coal production – especially in Appalachia – have been suffering major economic and employment losses for decades. Today far fewer miners are needed to produce the coal that we consume, and alternative energy sources like natural gas, solar and wind have chipped away at coal’s cost advantage. These forces have led to many lost jobs in coal-reliant regions, which will only intensify as the coal industry becomes more efficient in mining and the nation takes steps to reduce greenhouse gas emissions. In response to coal’s uncertain future, last year the Obama administration proposed a US$3 billion plan called Power+ to assist coal-dependent regions. Transitioning local economies that rely on resource extraction industries requires long-term investments. Instead of significantly expanding investment in coal-reliant communities, two-thirds of the Power+ Plan funding is directed toward providing what we consider life support to the coal industry. These investments are unlikely to have any significant short-term effect on employment in coal-reliant regions. In our view, the plan misses an opportunity to provide the sustained investments communities need to develop a post-coal economy. Why has coal employment declined? Since 1949, coal industry employment has fallen from more than 500,000 workers to fewer than 63,000 workers today. Coal advocates contend that environmental regulations, such as the Clean Air Acts of 1977 and 1990, have caused hardship and job losses in many coal-dependent regions. But what these policies actually have done is to change where coal is mined. By requiring power producers to reduce sulfur emissions from electricity generation, the Clean Air Act triggered a shift in U.S. coal production from Appalachia, where coal is high in sulfur, to western states with abundant supplies of low-sulfur coal. However, overall U.S. coal employment was mostly unaffected by these regulations. Instead, the decline in coal employment has been largely driven by market forces. The coal industry has invested in new mining methods and better machinery, so production requires far fewer coal miners. What’s more, coal is rapidly losing market share. 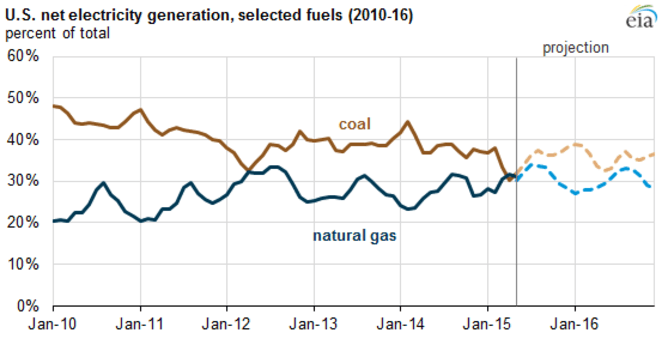 Natural gas surpassed it twice as a fuel for power generation in 2015. Coal once dominated all other sources as the primary fuel for U.S. electricity production, but now faces increased competition from other energy sources, most notably shale natural gas, wind and solar. Through September of 2015, all of the new electricity generation capacity added in the U.S. was powered by natural gas, wind and solar, while nearly all of the retired capacity was powered by coal. Many coal advocates continue to blame environmental policies, such as the Obama administration’s Clean Power Plan – which the Supreme Court has temporarily blocked and will review in June – for job losses in the coal industry. But in reality, mining jobs are primarily driven by market forces. To aid workers and communities where industries are declining, governments typically choose one of two approaches: offering direct support to those industries or funding investments in people and places. Industrial support aims to maintain employment by providing subsidies or regulatory relief. The U.S. auto industry bailout, in which the Treasury Department invested nearly $80 billion in the auto industry to save General Motors and Chrysler from bankruptcy, is a recent example. President Obama’s proposed Power+ plan would provide $2 billion in tax credits for the deployment of carbon capture technologies on coal power plants to hopefully allow them to continue production. These tax credits are in essence a subsidy to coal producers. But industry support policies are unlikely to provide effective aid for workers and communities in coal-dependent regions, for several reasons. First, declining coal employment has largely been driven by productivity gains. Providing subsidies to the industry may slow the decline in production, but their effect on employment will be diminished because mining operations are more productive and efficient at extracting coal. It is likely that most of the benefits from industry subsidies will go to owners of coal companies who may live far away, not to workers or their communities. Second, our research has shown that dependence on coal adversely affects noncoal employment in places like Appalachia. High levels of coal employment are associated with lower levels of entrepreneurship and higher levels of migration out of Appalachian regions as coal crowds out other types of businesses. Prolonging coal employment may actually slow the transition to other economic activities and reduce long-term economic growth. Alternatively, aid programs could invest in people and places through initiatives such as job retraining programs, small business support, and infrastructure programs. The proposed Power+ plan designated $110 million for workforce development programs for coal communities. Of this, $20 million was earmarked for retraining coal workers to help them transition to new jobs and careers, and $90 million was designated for workforce development and training programs associated with mine cleanup. So far, however, Congress has approved only a few small pieces of the Power+ plan. And even if the plan was fully funded, its workforce development programs would only provide a little more than $1,700 for each worker employed in the coal industry. Including the mining workers that have already lost their jobs reduces the dollar/worker amount even further. Moreover, research on the gains from retraining programs for laid-off workers has been inconclusive. One issue is that displaced workers tend to seek new work based on skills from their previous jobs, which significantly outweighs the effect of job-retraining programs. When focusing on improving a particular community or region, retraining programs can have even less of an effect. If retrained workers cannot find work that matches their new skills, they are likely to migrate to another region. The plan also included some funding for place-based initiatives, including $1 billion in funding for cleaning up hazardous abandoned coal mine lands and polluted waters and $25 million to the Appalachian Regional Commission to support economic development planning, entrepreneurial development and investment in basic infrastructure. We are more encouraged by these proposals, although we feel that they are underfunded. What does work? We have found that entrepreneurship and creativity are key factors for promoting economic development in lagging areas of Appalachia. To support this approach to development, aid programs should focus on improving the quality of life in coal communities and attracting new, highly skilled residents. This could be achieved by investing in natural resource amenities, which the plan does through its proposed $1 billion investment in abandoned mine cleanup. Another strategy would be to investing in basic infrastructure, such as road maintenance, public schools and health care. By making a long-term investment in these necessary services, the federal government can free up local governments to invest local tax dollars in assets that are unique to each place. The Appalachian Regional Commission, a partnership between state and federal agencies, already facilitates these types of programs. Substantially increasing funding to the ARC would be an effective way to help coal communities. President Obama’s Power+ plan rightfully acknowledges that energy policies are negatively affecting some regions, but we believe the money is misaligned. If the goal is to help coal-dependent communities transition to a post-coal economy, $2 billion in tax credits for the coal industry will be ineffective. Instead, that money would be better used to invest in basic infrastructure. A place-based investment strategy does not guarantee rapid economic development in these areas, but it can improve the quality of life for people who are most impacted by our national shift away from coal. Featured image: Flickr CC, Micolo J.